Blackhawks anthem singer shatters beer mugs with voice! 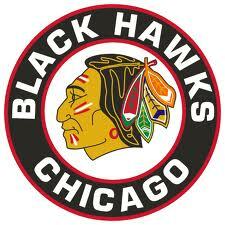 At this point, it’s OK to feel raging jealously over the Chicago Blackhawks. Not only are they on a 21-game point streak to start the season, obliterating the previous NHL record; but apparently their national anthem singer’s voice can be weaponized. Here is the great Jim Cornelison, anthem singer for Blackhawks home games, singing “Take Me Out To The Ballgame” at the “Toast for Harry” on Feb. 28 at the Navy Pier in Chicago – and shattering glasses when he hits the finale note. Amazing!